What Contributes More to Financial Change - Knowledge or Behavior? What Contributes More to Financial Change – Knowledge or Behavior? Several weeks ago I finished leading my most recent Financial Peace University class. I love leading Dave Ramsey’s FPU classes because the people there are eager for change. They know something is not right and are looking for a financial change. Two things are needed though for them to head in that new direction. One, they have to understand why financial change is needed. I call this gaining knowledge. Our mind has to become aware of something we didn’t know before. That awareness eventually leads to the change. However, knowledge isn’t enough. We also must look at behavior. More often than not it’s our behavior that gets us into financial trouble. If we don’t alter our patterns of behavior financial change is not possible. I think we can all agree that both are needed. My question today is, “Which one is most important? Which one contributes more to financial change?” You can make an easy case for either, but in the end I believe one is the clear winner. Isn’t knowledge what really sparks change in the first place? We reach a moment in time when we realize change has to come. That “awareness moment” must happen for change to even have a chance. It’s in the accumulation of knowledge that we learn what must be done. We figure out the plan, outline the steps and set our goals. Without understanding those factors and setting them in, we have no direction that our behavior can pursue. Knowledge is a driver of behavior. In those moments when we want to follow our old way of thinking, our new-found knowledge keeps us grounded. It keeps us accountable and reminds us of where we’ve been (the bad) and where we want to go (the good). Knowledge is power. But is it more important than behavior? It’s in our behavior (our actions) that we see actual results. For example, when a person sticks to a budget, they may see an immediate increase in their savings rate. That’s an action (behavior) that has lead to a desired outcome. Behaviors also compound upon themselves and this could be for good or for bad. This is how people become drug addicts. Their bodies are introduced to a chemical and eventually become used to that substance being present. It pushes the person to pursue more of it. So behavior (ingesting drugs) begets more behavior (ingesting more drugs). In completing the right behaviors we gain confidence that we can act appropriately on our knowledge. That confidence can have a snowball effect that propels us to continue to act in the right ways. Conversely, if we fail in our behaviors it leads to discouragement and setbacks. 1) Without knowledge we won’t realize our need to change behaviors. 2) If we don’t alter our behavior, change will never occur no matter how much we know. Based on those statements and what I’ve noticed in my own life, I’m falling down in the behavior is more important camp. All the knowledge in the world is useless if it doesn’t lead us to a different way of acting. Those are all knowledge issues. I’m teaching…the student is learning (i.e gaining knowledge). The appropriate information is being placed into their brain. But then what? If it just sits there, does the knowledge gained have any value? I don’t think so. At that point the learner has only become a sponge. The person who chooses to act on that knowledge wrings out the sponge. What’s inside flows out into their life and changes behaviors. I only bring this up today to have us recognize the power of our behavior. Yes, knowledge is important. I don’t want to discount it. But it has been shown to be a poor agent for influencing behavior change. Questions: What do you think is more important – knowledge of behavior? How have you seen knowledge impact change in your life? 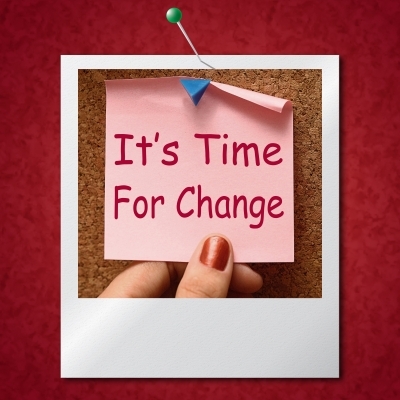 How has a change in behavior moved you forward (or backward)? Do you need to make a financial change today? Some combination of both is optimal…..but behavior outweighs knowledge. Just because you have knowledge, doesn’t mean you apply it correctly. Good control over our knowledge and behavior is what we should achieve for. This may come as hard, but we can master it with proper mindset and good practice as well as commitment and determination, Brian. I agree, Brian. Both are necessary ingredients to make true change but behavior, to me, is the first nut to crack. If you can get to the root of your behavior and change it for the better, you will be far more likely to take action on the knowledge you recently learned or get knowledgable. It’s sad but I see people who seek knowledge because they are hoping there is some magic wand, pill or word that will bring about positive financial change to their life. Some lose interest when they realize that it takes work and changing behaviors. You have to be willing to do both, but if you are not willing to address behaviors that need changing, knowledge itself is unlikely to get you where you want to be. Shannon and Brian, as everyone here is saying, it’s true – you need both. Behavior without knowledge wanders and knowledge without behavior is impotent. Shannon, you describe the need well – people have to be willing to put forth effort when they realize its not as easy as they thought. This begs the next question in the line of thinking: “How do you get someone to change their behavior?” To use Brian’s analogy, how do you get someone to wring out the sponge when they don’t really want to? This is the hardest part of financial education and a question I am still working on, but I think it starts with communicating the tradeoff between short-term gains (nice clothes or cars) and long term gains (retirement). I think you definitely need the combination of both. For me, it took knowledge to make me change my behavior. If I didn’t realize the mistakes I was making and how they were impacting me, then I think I would have continued to do what I had been doing up until that point. Once I knew where I was going wrong, I changed what I was doing to adjust for it. I think both knowledge and behavior are important. Knowledge is usually the key to getting people to change their behavior. But boy the behavior one is way harder. You can know that you need to stop eating out, but actually stopping is way harder. Without knowledge you won’t know how to move forward. But if you don’t do anything than you’re wasting your knowledge. You absolutely need both. You can’t make the necessary changes without knowledge – you just can’t. But even with all knowledge, nothing happens unless you make a change. Admittedly, that change can be slow and naturally happen over time (I don’t think you have to declare that you are making the change, necessarily). Although the best changes come with acknowledgment and commitment because you are more passionate and dedicated to the actual change. I’m gonna go with behavior for it is so hard to break some habits, and financial bad habits are very hard to break. I think that it is so great that you are teaching these classes. So many people need the help and have no idea how to get out of debt. I’m with you that behavior is probably the stronger of the two traits. You don’t necessarily have to know everything about investing to build your fortune, but if you don’t have good habits then you’ll never get there! Boy, investing is the poster child for showing how developing good habits can change your financial life. The continued repetition of putting money in the market can be life changing.